Mark Mintz, M.D. attended medical school at Rutgers-Robert Wood Johnson Medical School, performed his pediatric residency training at the Albert Einstein College of Medicine/Montefiore Medical Center, and completed a Pediatric Neurology fellowship at Rutgers-New Jersey Medical School. He is quadruple-Board Certified in Neurology with special qualifications in Child Neurology, Pediatrics, Neurodevelopmental Disabilities, and Epilepsy. Dr. Mintz has been on the faculties of the University of Pennsylvania School of Medicine and Rutgers-Robert Wood Johnson Medical School, and is presently on the faculty of Rutgers-New Jersey Medical School. Dr. Mintz is presently a member of the medical staffs of Our Lady of Lourdes Medical Center-Camden, Weisman Children’s Rehabilitation Hospital, Hackensack University Medical Center and Inspira Health Network. In 2005, Dr. Mintz founded and functions as President and CEO of The Center for Neurological and Neurodevelopmental Health and the Clinical Research Center of New Jersey. In 2008, Dr. Mintz co-founded the public charity NeurAbilities. Dr. Mintz is widely published in the medical literature, and has been an invited lecturer at a large number of national and international conferences. Dr. Mintz functions as the Principle Investigator on a variety of clinical drug trials, has been the Protocol Neurologist for a number of national Pediatric AIDS Clinical Trials, and has participated on an array of committees and task forces of the National Institutes of Health and the New Jersey Governor’s office. Additionally, Dr. Mintz has served in the National Health Service Corps of the United States Public Health Service, and has volunteered for medical relief missions in Romania and Russia. 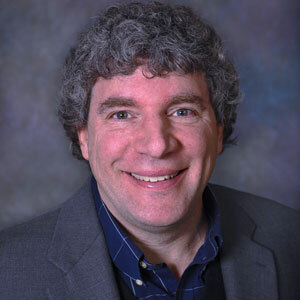 Dr. Mintz’s clinical and research interests include neurodevelopmental and intellectual disabilities, autism spectrum disorders, epilepsy, brain injury and concussions, ADHD, learning disorders, Tourette/Tic Disorders, genetic and metabolic disorders, and NeuroAIDS. What Does Epilepsy Have To Do With Autism?